This Reusable Zombie Bite Prosthetic is simple to apply and a fantastic addition to your zombie makeup. A horrific appliance cast in prosthetic silicone, meaning you can use this piece over and over again – just clean and re-apply. 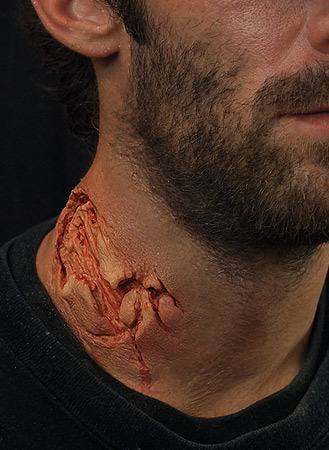 With care this piece can last for years, making it perfect for professional zombies in the scare industry, haunt attractions and at halloween events! 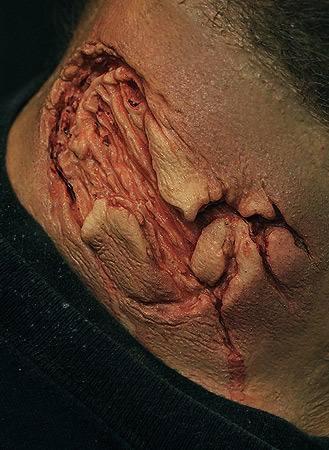 Watch the video below for complete instructions on how to apply and paint this prosthetic. Comes in unpainted silicone. Fantastic product, feels and acts like real flesh! very easy to apply and it paints wonderfully suing the perfect pallet.